Denise LePera, president of Archbishop Ryan High School. 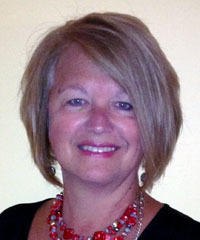 Denise LePera has been named president of Archbishop Ryan High School in Northeast Philadelphia. The appointment, which was announced July 14 by the archdiocesan Office of Catholic Education and Faith in the Future Foundation, becomes effective July 28. LePera previously served for six years as executive director of institutional advancement at Roman Catholic High School for Boys. “Denise brings to Archbishop Ryan an extensive background in development and institutional advancement, which speaks to our commitment to lead each of our 17 high schools into a mindset of growth and innovation,” said Chris Mominey, chief operating officer for Faith in the future and archdiocesan secretary for Catholic education. LePera holds a Bachelor of Science degree in liberal studies and a Master of Science degree in strategic leadership, both from Neumann University. Prior to her position at Roman Catholic, she was director of corporate and foundation relations (1999 to 2006) and director of institutional gifts and donor relations (2006-2008) at Neumann. Her sons Steve (class of 2002) and Dan (class of 2004) are both proud graduates of Archbishop Ryan High School. The announcement of LePera follows the March appointment of Archbishop Ryan’s former president, Michael McArdle, to the position of director of financial aid for the Office of Catholic Education, which became effective July 1.